The Trump administration would reduce the time for medication approval, reduce taxes, and cut some regulations for pharmaceutical companies, according to U.S. President Donald Trump, who met with pharmaceutical companies’ CEOs in the White House. Merck, Celgene, Amgen, Eli Lilly, Johnson & Johnson, and Novartis companies were among those present. Instead, pharmaceutical companies must bring manufacturing back to the U.S. (since some companies have their production facilities overseas) and make the drugs they produce cheaper. Tax relief was another promise to the pharmaceutical companies made by the president. He said they were going to be lowering taxes “big league”. One of the drug companies’ CEOs called it “a massive help” after some companies voiced their approval. Trump described his terms for the deal in his introductory remarks, under the scrutiny of journalists. After that, he and drug companies’ representatives met behind closed doors to discuss the deal further. It was a surprise after his press conference, where he said that pharmaceutical industry was “getting away with murder”, that President Trump chose a more positive tone. He said that executives had done a terrific job over the past few years, but they still had to get the prices down. One of the main concerns was the decreased time for the new pharmaceutical products review process by the U.S. Food and Drug Administration (FDA). The nominee for commissioner of the FDA should help to achieve the goals of the FDA and Congress, according to Trump. He added that pharmaceutical companies would get their products approved or not, but it would be a quick process and would not take 15 years. It usually takes about 10-15 years to bring a new medication to the market. This process starts with the development of the medications. After the development, clinical trials are conducted. If those trials are successful, the company submits its application to the FDA. But that is not the end, and sometimes companies have to wait an additional two years for approval. Trump blamed the FDA approval process on unnecessary government regulations. In his opinion, those regulations (80% of which Trump considered to be unnecessary) also spurred the pharmaceutical companies to move their production to other countries. President Trump said that they were going to take care of those regulations. According to Trump, they were going to cut regulations that “nobody has ever seen before”. He added that they were going to have improved protection for consumers. On January 30, Donald Trump, in an executive order, set the stage for reducing regulations. The order states that if the government adopts one regulation, it should eliminate two others. Under the Drug User Fee Act, a standard review of drug applications by the FDA should take ten months if the medication presents minor improvements compared to existing medications. In the case of major improvements, advances in treatment, and new treatments, the goal of the FDA is to review the applications within only six months. According to the FDA, median time spent waiting for standard review in 2015 was one year and high-priority reviews waited eight months. Another way to reduce the price? 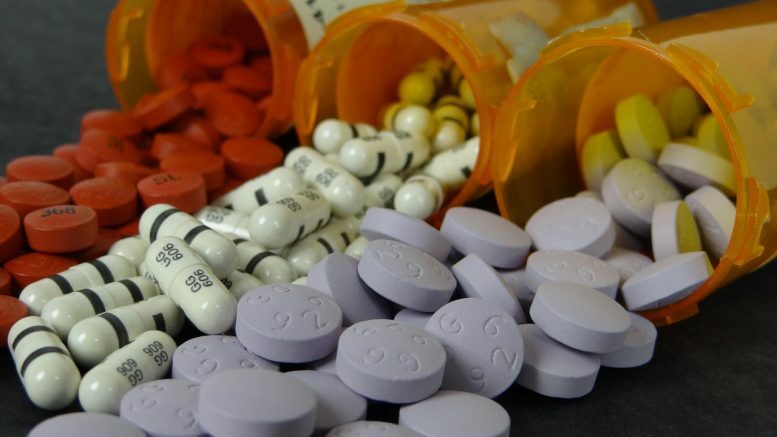 However, quicker approval by the FDA and lower taxes will not be the only reasons for lower drug prices on the United States pharmaceutical market. Another way to reduce drug cost is increased competition among pharmaceutical manufacturers, according to Trump. He said he would oppose anything that makes bringing the product on the market harder for smaller companies, especially the most powerful player in the market, Medicare. Donald Trump has advocated for allowing negotiations between Medicare and pharmaceutical companies, which should bring a positive effect and so lower the prices. The trade association for the pharmaceutical industry leader, PhRMA CEO Stephen Ubl, said that meeting with Trump was productive and positive. He said that the pharmaceutical industry took the concerns raised about accessibility and affordability seriously, so they had expressed their commitment to working with the Trump administration to advance reforms. Not everybody agrees with Trump’s ideas for reducing the cost of drugs for different reasons, and not everybody thinks the meeting was a positive and productive one. For example, some less positive feedback came from Dr. Michael Carome, the director of Public Citizen, a consumer watchdog group. Michael Carome said that Trump’s promise to reduce regulations by 80% would completely destroy the FDA’s ability to protect consumers, which will lead to countless preventable illnesses, injuries, and even deaths across the United States. He also said in his news release that the president’s horrifying proposal reflected his commitment to place corporate profits above the safety of the U.S. citizens. He also said that Trump demonstrated “utter ignorance” about the FDA’s important role in protecting consumers’ health. 1 Comment on "Faster FDA Approvals and Regulations for Pharmaceutical Companies"
I read this post also and get a new and useful information and tips thanks, P.N.M.